Happy Saturday! Hope you all had a great week and have an even better weekend! 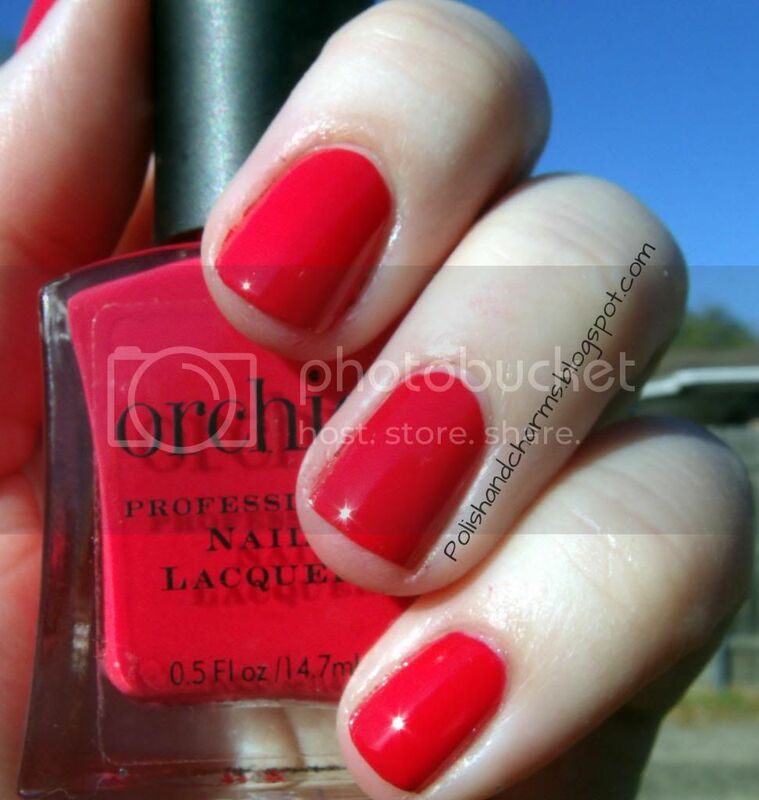 I have a gorgeous polish to share with you today. This is Orchid Tiki Torched. 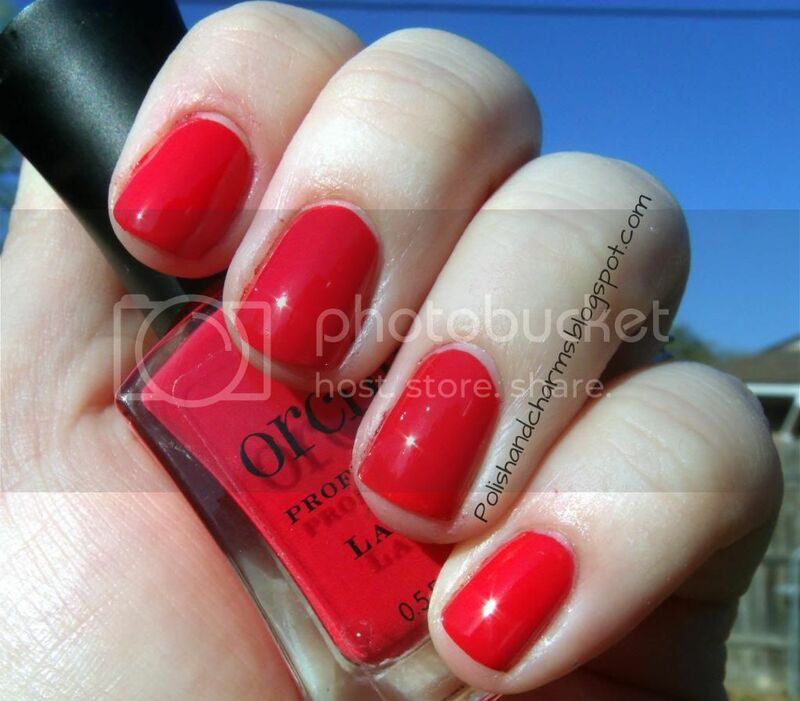 A lovely and bright coral red. I just love it! I used 2 coats for this. Enjoy! Oh my, this color is so pretty! OH WOW, this IS pretty!! Isn't it! I just love it! How do you like the Orchid polishes? I have some in my untrieds but no one has reviewed them yet. They have some really pretty colors and this one is no exception.I'm not even a red polish person, and I really want that red now. That is stunning. wow look at that shine! Never heard of this company but that's one lovely red! I like them for the most part. They are fairly new, but so far no complaints. I am hoping they start to broaden their horizons and add more glitters and things like that. It's made for a grocery store chain here in Texas. They just came out last year, so far they have been pretty good! It's a grocery store brand that is only in Texas. They have some really nice shades! Oh my I LOVE this color!! I have been really into red polishes lately (which is very unlike me!!) This is just too gorgeous!! That's what I thought when I saw it, it called to me!